I couldn’t leave these planters white. It’s just not in my crazy, fun-loving, bling-bling dna. And in the fun-loving, crazy, bling-bling adventurous-ness that I choose to live in, I went with gold leaf. And as it turns out… yes. 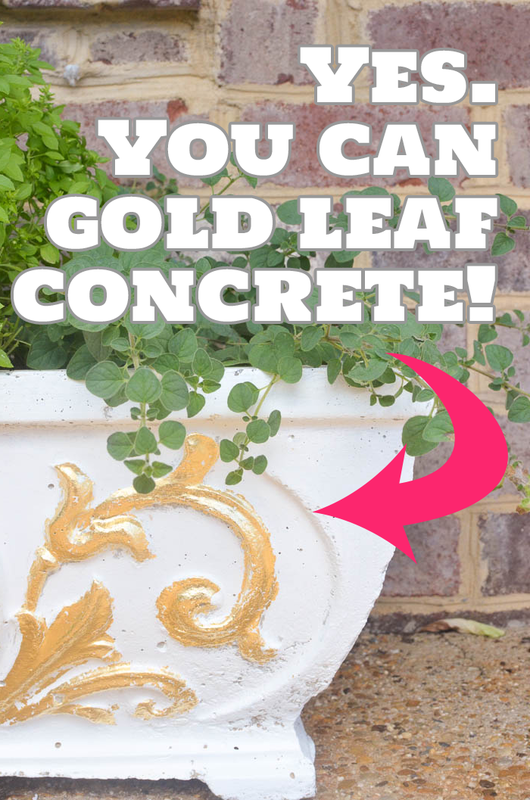 You can gold leaf concrete. And even though I’m most definitely-probably not the first person to figure it out, it kinda feels like I am. So, I’ll just live in sweet ignorance. First, wipe the concrete down. Clean it good. Or you’ll wish for three seasons you had. Next, you’ll need some gilding adhesive and some gold leaf. 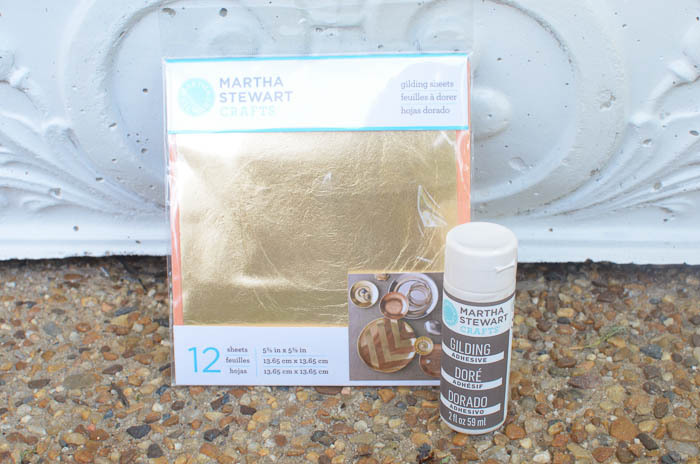 Simply apply the adhesive in a thin coat over where you’d like the gold foil to stick. Let it sit for a few minutes until it turns sticky. 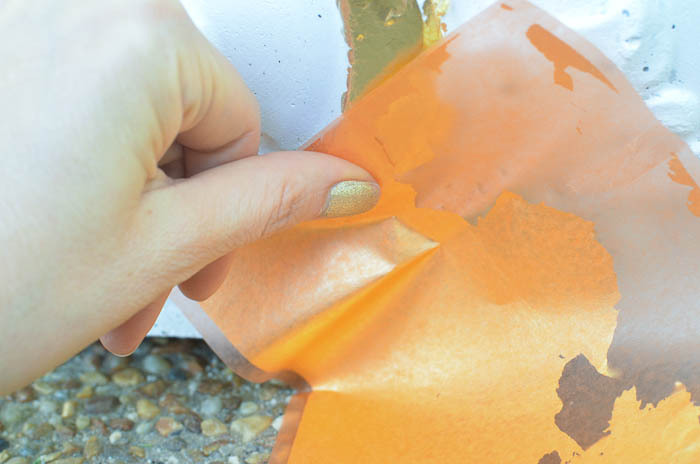 Then, take a sheet of gold foil and press it onto the sticky area. It will stick. Super cool. Huh, Gwen. That doesn’t look so stellar. It kinda looks like you let your big-shot lab take a crack at gold leaf day and he forgot to use his paws. We’re not done. Not yet. Or I’d cry, too. It’s kind of ugly. 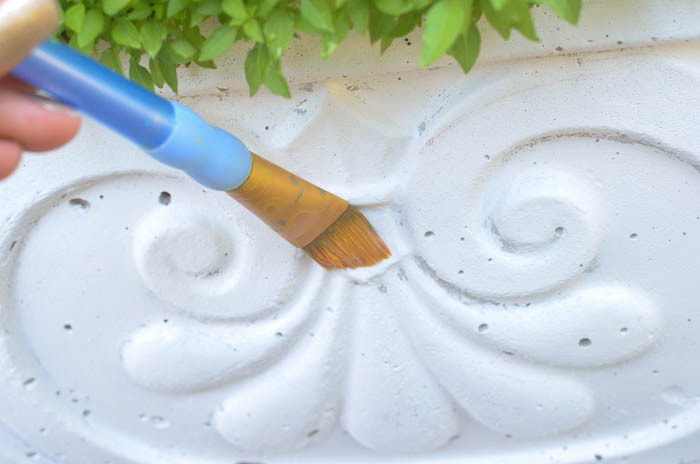 After a couple of hours, you need to take a soft bristled brush and sweep off the extra leaf that’s not on the sticky part. You can brush fairly confidently. If you’ve done your part, that gold leaf is married for life to that concrete planter. Now I can sleep knowing my porch has some bling. 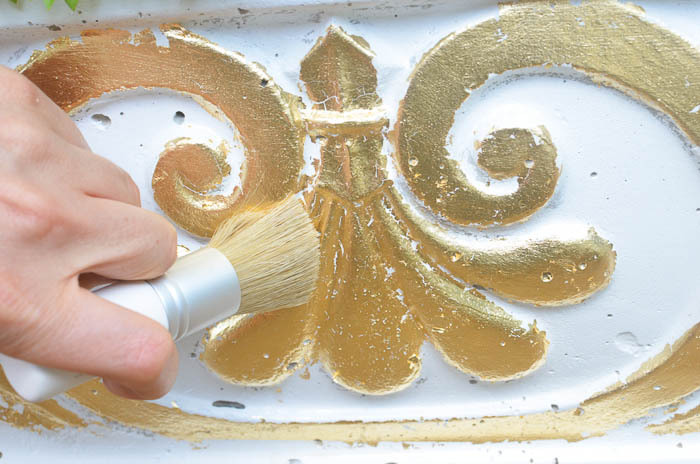 Have you ever gold leafed anything… I’ll be honest, this was my first time! love the gold leaf on them! you know i love me some gold leaf- gold leaf all the things! Gold leaf the dog! Yay! Thanks, Corey! 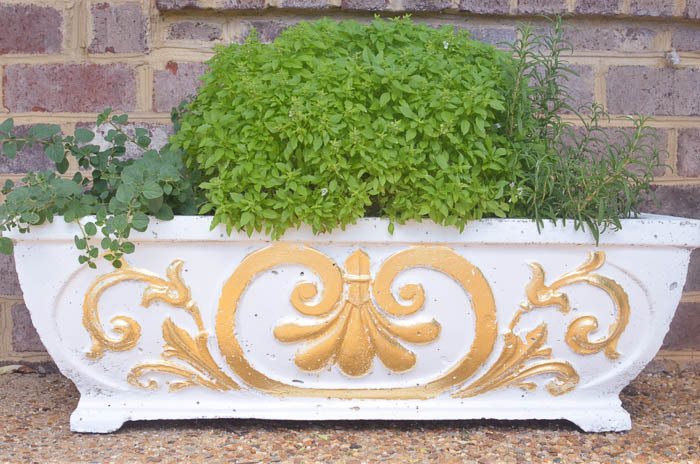 You need to get your gold leaf on! Haha! I did like those little sheets. 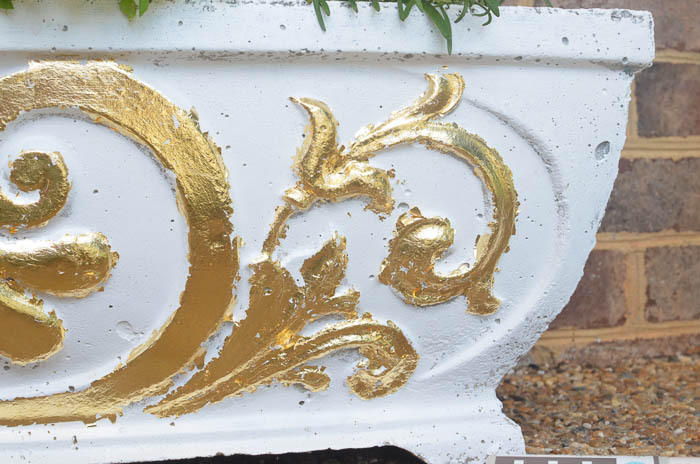 Now I want to gold leaf the entire porch, but that might be just a bit too much!